The word “Bayuda” comes from the Arabic “abyod” which means white, the contrast created by the black stone mountains and the light coloured sand might be the origin of this name. 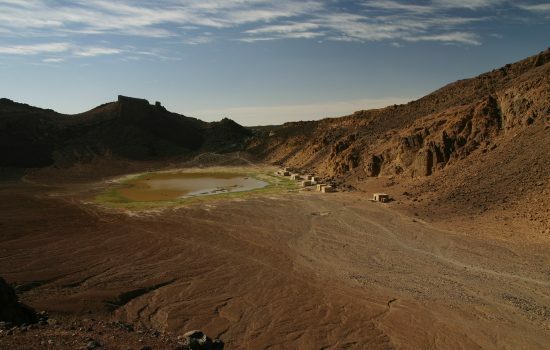 It is the desert area within the loop of the Nile where the river seems to flow back southwards. 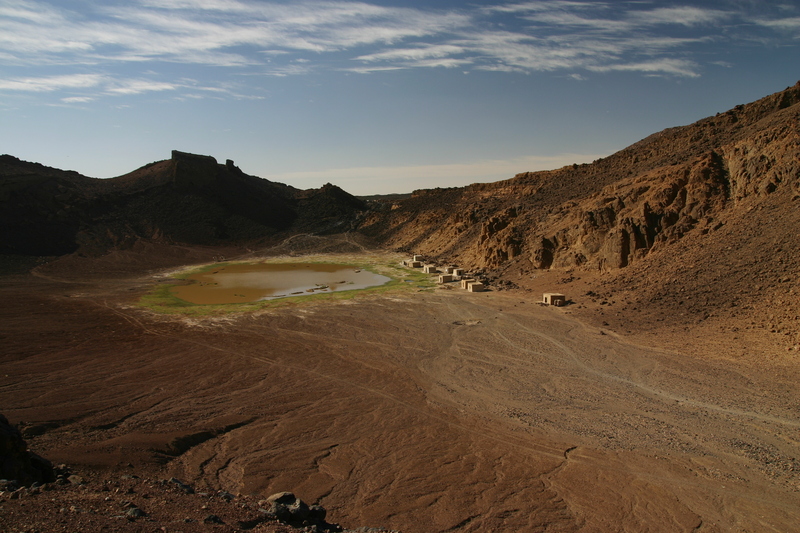 This territory is mainly a stony desert, in the central part there are various volcanic ancient black eruption cone-shaped formations and it has large stretches with white quartz stones. 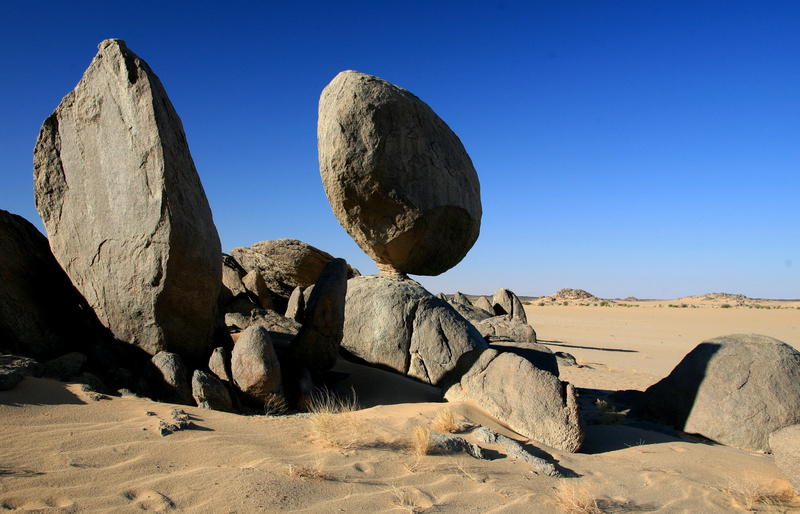 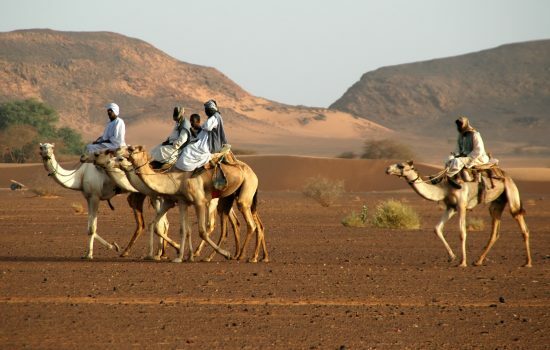 This desert has some low lands and dry rivers (wadi) where camel-thorn acacia trees, grasses and often green bushes grow which are good pasture lands for the nomadic groups herds of animal. The most important group is the Bisharin tribe that lives in small familiar clans in tents or huts built with dry wood branches.